He’s big, yellow and the most-well known bird in town. Let us introduce you to Clark the Lark. Instead of moving south for the winter in 2017, he found himself in Bismarck, North Dakota. Clark knew it was home the minute he landed. Baseball fans and fellow North Dakotans embraced him with open arms. They even helped him pick a name that represented North Dakota’s rich history. In 2019, Clark got a new friend when Merifeather Lewis joined the team. 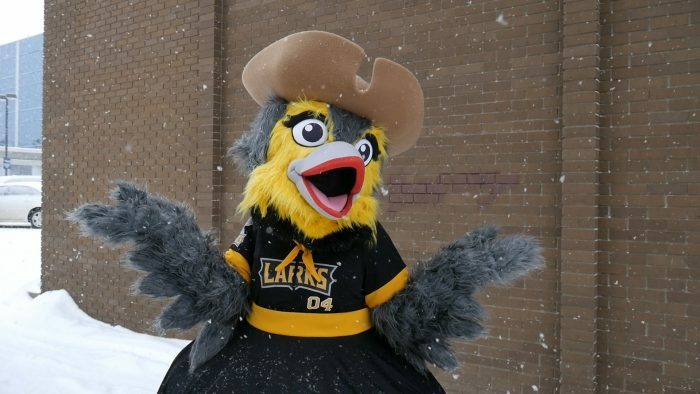 Larks fans helped pick her name, too. 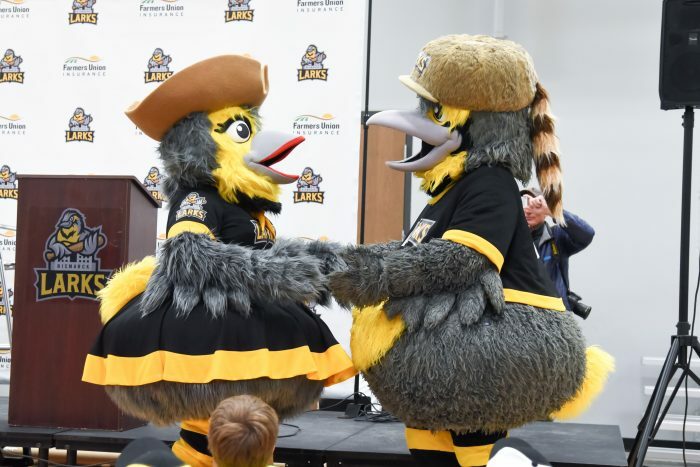 The pair of mascots is now preparing for a fun summer of cheering, dancing, and baseball. Clark and Merifeather’s names are inspired by the explorers Lewis and Clark. Together their jersey numbers are 1804, the same year Lewis and Clark traveled through Bismarck along the Missouri River. 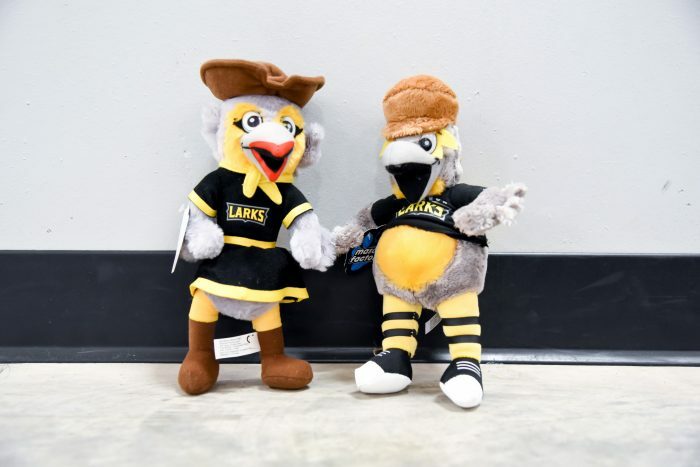 Clark and Merifeather encourage you to bring your friends and your family to a Bismarck Larks game and catch the show. We promise you, it’s something you won’t want to miss! Get your Clark and Merifeather plush dolls here. Fans, want Clark or Merifeather to be at your next event? Now is your chance! 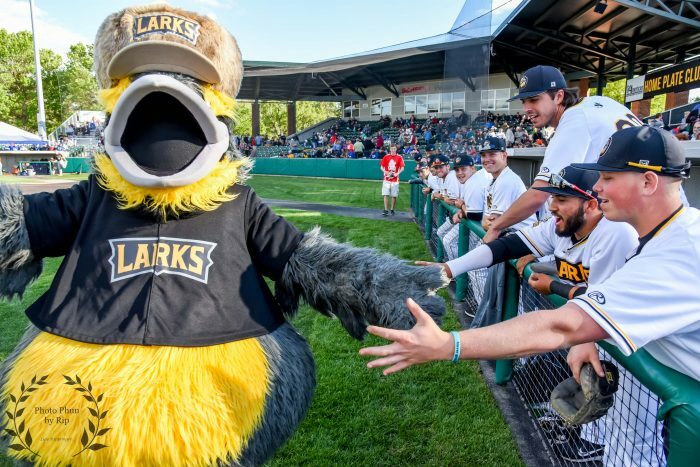 Call (701) 557-7600, email Matt at matt@larksbaseball.com, or fill out the appearance request form below for Clark or Merifeather to appear at your next event. A $25 fee per mascot per hour will apply and trips outside of Bismarck/Mandan may require additional transportation costs. Please provide the time you would like Clark to be there. We require all Clark appearances to be a (1) hour minimum. Clark appearances can not exceed (2) hours.